Built on the Musterberg hill, known as the gateway to the Black Forest, Breisach overlooks the Rhine valley and the houses of the town. As a significant stronghold of the Holy Roman Empire in the 16th century, Breisch is a wonderful example of medieval art and architecture and houses one of Europe’s largest wine cellars. Take a tour of Riquewihr, a picturesque place that looks much as it did back in the 16th century. The gorgeous buildings are breathtaking and dainty wine shops are scattered throughout this lovely town. Freiburg, small streams, delicacies and wine paired with sustainability – you will find all of this and much more in Freiburg. Go on a tour of discovery through the sunny city and let the pleasant Baden way of life combined with the flair of an international university and ecological flagship city work its magic on you. The Coyote Canyon Winery Rhine River Wine Cruise. Tour options for both Feiburg and Riquewihr. This amazing trip is just a phone call away. Contact Michelle today! The charming city of Strasbourg, capital city of the Alsace-Champagne-Ardenne-Lorraine region of northeastern France sits on the Rhine near the German border. The culture and architecture of the city blends German and French with a medieval quarter filled with amazing UNESCO-rated buildings. After arriving this morning, enjoy a panoramic city tour that will take you past the Parc de l’Orangerie, the town’s oldest park, the European Parliament, and the Place de la Republique. Catch the miracle of medieval technology at the 12:30pm daily performance of the 15th Century Strasbourg Cathedral’s astronomical clock. Enjoy the 468 foot spire in rose-colored sandstone while waiting for the timepiece to strike. Or stroll along the waterways and enjoy the half-timbered houses of the Petite France District, “La Petit France”. The beautiful houses of the district date back to the 16th and 17th centuries. After delighting in the shops and restaurants of the Petite France District, admire the architecture of the Ponts Couverts bridge at the end of the district. On Day 5 of the Rhine River Wine Cruise you will visit the beautiful city of Speyer, one of Germany’s oldest cities. Speyer is home to a 10th century Cathedral, which holds the title for being the biggest preserved Romanesque Church in the world. Stroll through the streets of this quaint town, lined with boutiques, galleries, coffee shops and restaurants. Cross the 18th century stone bridge, which links the Old Town to the Philosopher’s Walk and enjoy the picturesque views of the city stretched along the Nekar River. Speyer is regarded as the birthplace of the Protestant faith due to the Protestation at Speyer in 1529. An attempt to repeal the Edict of Toleration, the first act allowing free exercise of religion in Europe. Don't miss this amazing trip! Situated in a large winemaking region, Rudesheim is one of Germany’s most prolific and scenic wine regions and is partly a UNESCO World Heritage site. It offers beautiful hikes through the surrounding mountains and prime views over the dazzling Rhine river valley. Next to its extensive vineyards, the city’s rich cultural and historic background make it one of the most intriguing places to visit in Germany. On the fourth morning of your Rhine River Cruise, sail through the picturesque Rhine Gorge, admiring its many castles and fortress ruins and the legendary Lorelei Rock and arrive in the winemaking town of Rüdesheim where you will enjoy an afternoon wine tasting with a local vintner. You may also choose to take a gondola ride above the city and see the famous Niederwalddenkmal Statue. The monument was created between 1870 and 1880 as a commemoration of the end of the Franco-Prussian, and with that the historic unification of the German people. For those interested in touring the city, in Rüdesheim’s old town visitors can wander through Drosselgasse, a cobbled street filled with historic buildings, restaurants, bars and shops. This street in particular is lined with some of the city’s best restaurants, where you can enjoy regional dishes, live bands and local wines. This evening, visit Siegfried’s Mechanical Instrument Museum, home to a remarkable collection of old robotic and self-playing musical instruments. Special pricing continues through March 31, 2017. COLOGNE – This beautiful city is the second stop along your gorgeous Rhine River Wine Cruise. You will enjoy a guided tour through this extremely old cathedral city. On the river Rhine, this city is one of the most important commercial and cultural centers in western Germany. Your tour will take you to through the Old Town in the heart of the city. Cologne is home to 12 great Romanesque churches but boasts Cologne Cathedral. Begun in 1248, the building of this Gothic masterpiece took place in several stages and wasn’t completed until the late 1800s. Just a few minutes’ walk from Cologne Cathedral, the Roman-Germanic Museum offers a fascinating insight into the city’s rich archaeological heritage from the Paleolithic period to the early Middle Ages. Those with a sweet tooth may visit the Schokoladenmuseaum or Chocolate Museum where they can learn all about cocoa and chocolate while tasting freshly made treats. And yes, there is a chocolate fountain. Or enjoy a light Kolsch beer at one of the many historic beer halls in the old town area. The city has an expansive selection of shops, from well know German department stores such as Peek & Cloppenburg, as well as local speciality boutiques, art and antique shops. For a break from the city, take a walk through Rheinpark Park, a beautiful stretch of 40 hectares which lines the river Rhine. If amazing panoramic views of Cologne and the Rhine peak your interest, jump on the Cologne Cable Car. Established in 1957, the Cable Car travels from Rheinpark Park to Riehl, where you can enjoy the Botanical Garden or Cologne’s Zoo Bridge. Special pricing continues through March 31, 2017. Call us to book your trip of a lifetime! 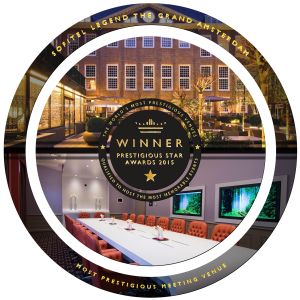 As a special addition to the upcoming Rhine River Wine Cruise in November, Cruise guests may begin their trip with a extraordinary 2 night stay at the luxurious Sofitel Legend, The Grand Amsterdam Hotel, easily regarded as the best hotel in Amsterdam. Relax and enjoy Amsterdam from above as this special includes a guaranteed upgrade to a Superior Room with gorgeous views of the canal below. To aid in making your trip as stress free as possible, this package also includes breakfast as well as provide transportation from the hotel to the ship on the day of departure. Amsterdam, the gorgeous capital city of the Netherlands, is known for its artistic heritage, elaborate canal system and narrow houses. 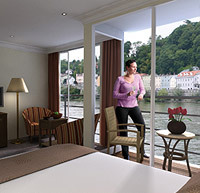 On your Rhine River Cruise you’ll enjoy this beautiful city and its many wonders. Enjoy a cruise through Amsterdam’s lovely canals which circle around and throughout the oldest parts of the city. Considered the Venice of the north, Amsterdam’s houses were built entirely on water with long poles dug deep into the ground to prevent them from sinking. Over time many of these houses have become fascinatingly lopsided. Cross under or over the beautiful Magere Brug bridge, a draw-bridge connecting the sides of the river Amstel. The traditional double-leaf design was originally build in 1670 and has been maintained to keep its historic charm throughout the centuries. You’ll see the house where Anne Frank and her family lived in hiding during WWII and the famous windmill painted by Rembrandt. Art fans have many museums to visit in Amsterdam. Those interested in Dutch arts and history will want to visit the Rijksmuseum museum located in Museum Square. Just around the corner is the Van Gogh Museum, which houses the world’s largest van Gogh collection. For a more personal look at the life of a 17th century Dutch master artist, visit the Rembrandt House Museum. A historic house and art museum, Rembrandt lived and worked in the house between 1639 and 1656. The AmaSonata is a sister ship to the AmaCerto and features the most advanced design of any river cruise vessel currently in operation. The AmaSonata was build in 2014 in the Netherlands. The ship proudly has a crew of 51 with 82 beautiful staterooms. Our exclusive Twin Balconies are available in most staterooms, which measure a spacious 210-235 sq. feet, with four suites measuring 300 sq. feet. Passengers will enjoy gourmet dining with free-flowing fine wines at multiple onboard dining venues; a heated sun deck swimming pool with a ‘swim-up’ bar; fitness center and spa; complimentary ship-wide Wi-Fi and in-room Internet and entertainment on demand; and a fleet of bicycles carried onboard for passengers to enjoy on their own or on guided bike tours. This will be your vessel for the upcoming Coyote Canyon Winery Rhine River Wine Cruise. This enchanting cruise begins in the legendary city of Amsterdam, with its myriad canals and distinctive architecture. Visit the majestic Gothic cathedral in Cologne, cruise through the picturesque Rhine Gorge admiring the legendary Lorelei Rock, and visit the German university town of Heidelberg and medieval Strasbourg. Beauty beyond imaginable. Cunard has partnered with the London-based Wine & Spirit Education Trust (WSET) to offer wine classes on selected Queen Mary II cruises. The classes initially will be available on QM2's westbound transatlantic crossings, as well as world cruises; the first one will take place on the December 15 sailing from Southampton to New York City. The line plans to extend the courses to Queen Victoria and Queen Elizabeth later in 2017. WSET is the world's largest provider of classes, certifying both wine lovers and food and beverage professionals. The partnership with Cunard is the first time WSET courses will be available to passengers on a transatlantic or round-world cruise line. Taught by WSET-certified educator Andres Solis Lira, the courses vary in their complexity, as well as the credentials received. The transatlantic sailings will feature the WSET Level 1 Award in Wines, a five-day beginner course that covers the basics of wine types and styles. Passengers will taste a minimum of 10 wines, and the $295 fee includes all study materials and examination fees, as well as a Champagne reception and four-course lunch with matching wines in the Verandah Restaurant. The world cruises -- traveling from Southampton to Cape Town, Cape Town to Fremantle, Hong Kong to Dubai and Dubai to Singapore -- will feature a more involved 12-day WSET Level 2 Award in Wine and Spirits course. Passengers in this class will taste up to 45 wines and four spirits; the $595 price includes all study materials and examination fees, as well as a Champagne reception and four-course lunch with matching wines in the Verandah Restaurant. Both classes finish with a multiple-choice exam. Passengers who pass will receive a WSET qualification certificate and lapel pin. Call Learncation Travel for more information. Cruise packages offer great value for our dollar mainly because the fares include nearly everything you'll need for an amazing trip. Think of the time alone that will be saved not having to plan food, accommodations, entertainment, transportation and sometimes even airfare. Regularly when cost is broken down, you end up spending much less per person per day on a cruise than would be spent on separate hotel, meals, taxis and shows. Special discounts (or even free fare) are often offered for children traveling with parents. Perfect for groups that want to see many different places. You don't have to pick just one. Once you arrive at each destination, your floating hotel waits. There is not hassle with lugging suitcases along cobblestone streets, lifting them in and our of public transit or dealing with your childrens' additional bags. If you are having difficulty finding a trip that will be enjoyed by everyone from tots to grandparents, cruises are now offering a wide age range of activities. Among the usual adult activities there are Kids' Clubs that are split by age, teen hangouts with video games and swimming pools, family friendly dining so families can enjoy being together during meals and so much more etc. Families can pick from multiple onshore excursions that all will enjoy and remember for years to come. What might be ideal of one family may not be for another. Mega-ships with outfitted with rock-climbing walls and outdoor movie theaters to intimate ships with elegant ambiance, educational river cruises to seafaring sailing ships, the options are endless and we can help. Today's cruise ships are designed to please all. Spas and casinos, wine tasting and computer classes, play bridge or do yoga, dine at a casual buffet or sit down to a fancy dinner, sushi bar or steak house, watch movie or lounge in the sun and read a book while you watch your family play basketball. Or....just relax while your ship sails from port to port. Cruise vacation packages group so many traveling factors together that they are now easier than ever to plan. This along with the help from us, we can make your booking experience stress-free. Cruise lines have plans in place for group travel, eliminating the hassle of coordinating your 20 family members and friends from around the country who want to vacation with you. Book enough cabins -- and you'll get extra perks, which very well may include a free fare. 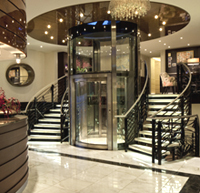 Todays cruise ship are outfitted with everything you could possibly want onboard. You have everything you need to stay in touch with the world outside, Wi-fi, cell and satellite service. Onboard shops carry anything that you may have forgot to pack. Medical centers and medical personnel are available for urgent medical needs. Laundry services are wonderful and eliminate the need to overpack. Do not forget the many entertainment and dining facilities. Snorkeling through coral reefs, exploring ancient Roman ruins, hiking on glaciers, shopping at local outdoor markets; all these shoreside activities are as much a part of the cruise experience as enjoying the onboard amenities of your ship. Indeed, half the fun of taking a cruise is exploring exciting new places, tropical islands, bustling metropolises, exotic countries. The benefits of booking ship-sponsored tours are many. You can skip the hassle of arranging your own onshore activities, you'll know the tour provider is licensed and reputable and the ship won't depart until all of its tour buses have returned, even the tardy ones. We can help find the best options for your family travel. We often see people reluctant to plan trips to other countries because they are nervous about the language barrier or not knowing the country customs. A cruise is the best way for you and your group to experience foreign and exotic destinations in a very easy way. Itineraries offer calls at major cities and picturesque villages, all of which will be regional highlights, so you don't have to do the research on the best places to visit in an unfamiliar destination. If you're uncomfortable with independent sightseeing in a new locale, simply take a ship's tour with English-speaking guides. Another option is to team up with more experienced travelers you meet online or onboard to share private guide. Cruise vacations are a great opportunity to meet wonderful people from all corners of the Earth. We've heard many stories of long time friendships that began on cruises, kids have developed pen pal relationships and now with social media, staying in touch with new friends is even easier. This will only enhance the memories made on a family vacation. Many group cruise options are available. We can make your family trip memorable from the very beginning by making it as stress free as possible. Having one contact person will enable multiple families or persons to come together seamlessly and have a wonderful trip together. Whether you are new to cruising or a well traveled adventurer, it is alway good to have a place to reference terms that are crucial to understand when planning or embarking on your cruise vacation. Let us help. Inside/Interior – a cabin that doesn’t have a porthole or a window. Maitre d’ Hotel – the person in charge of the dining room/restaurant wait staff. Bridge – the place where the Captain and his crew manage the ship’s journey. Funnel – the ship’s smokestack, and usually where the company’s logo appears. Knot – how the ship’s speed is measured. One knot equals one nautical mile per hour. If you're looking to make the most of your next family vacation or adventure, contact Michelle today to start exploring your cruise options.